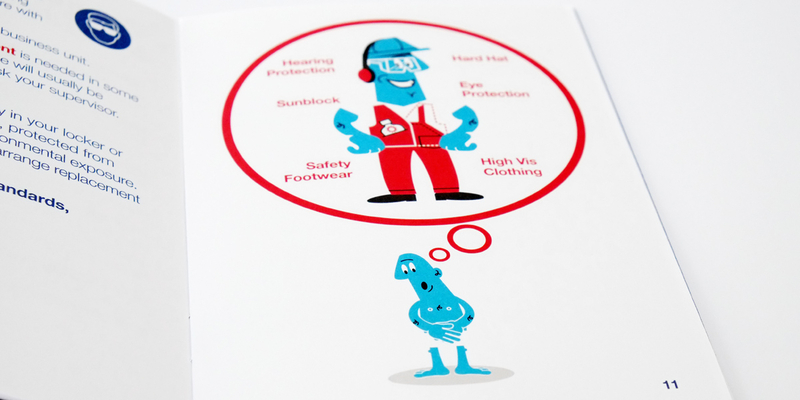 Q: Can you make our safety procedures easy to understand? 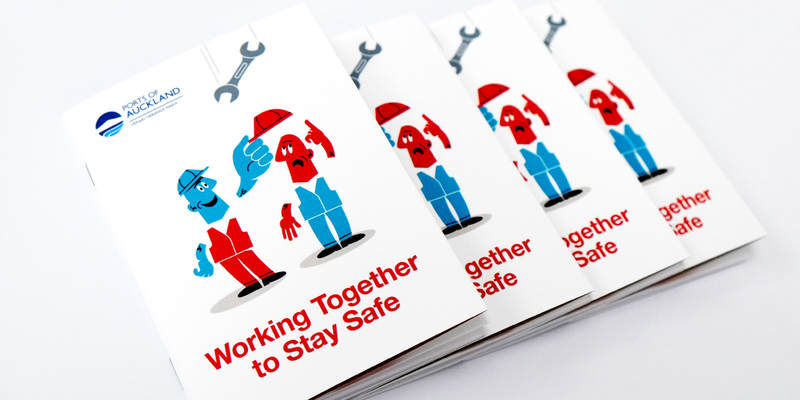 Angle: Working Together to Stay Safe. 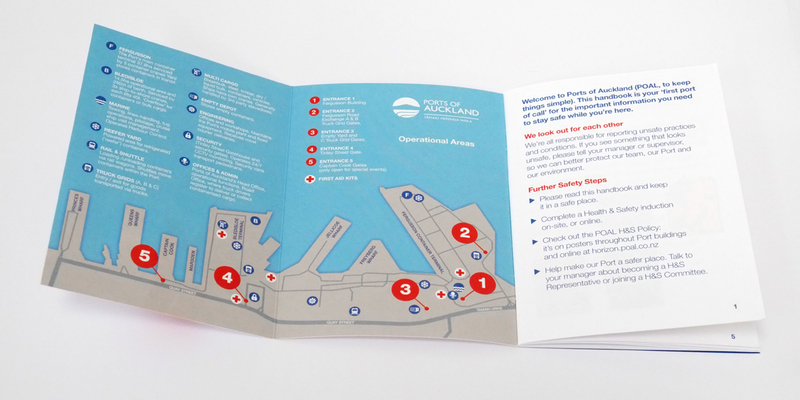 As New Zealand’s leading port company, Ports of Auckland serves the country’s vital international trades through a broad range of cargo handling and logistics services. 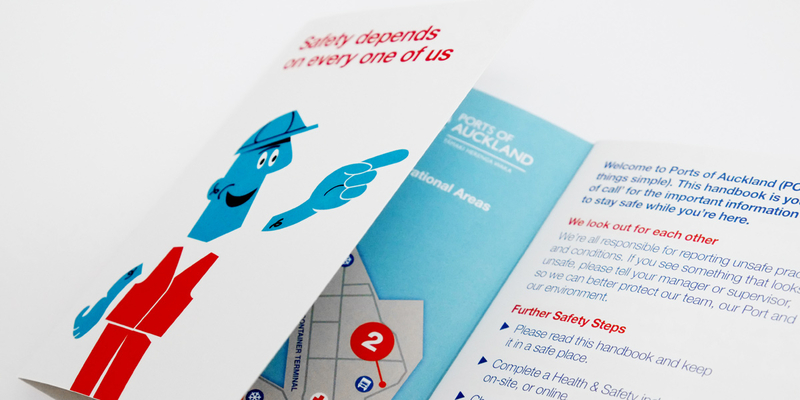 Informing and educating staff, visitors and contractors about safety on the port is a continuous process, and critical in maintaining their high safety standards. 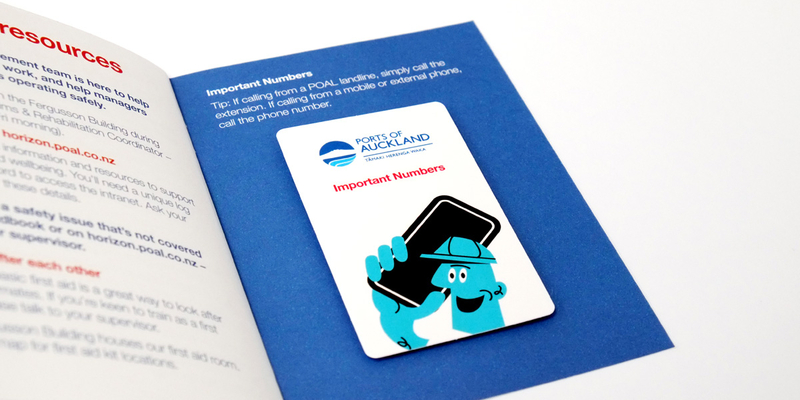 Angle’s design solution is a practical and memorable one, friendly and easy to understand – a critical factor in this brief, as many of the Ports of Auckland staff have English as their second language. 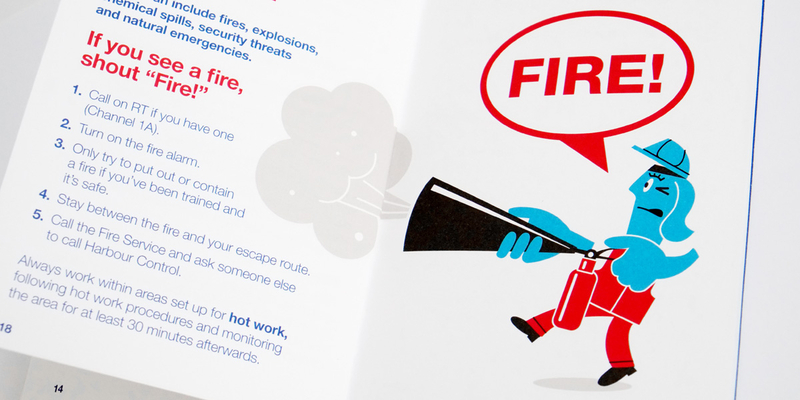 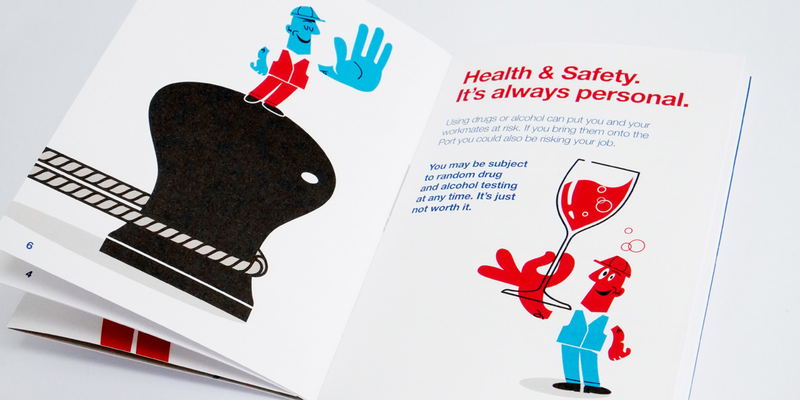 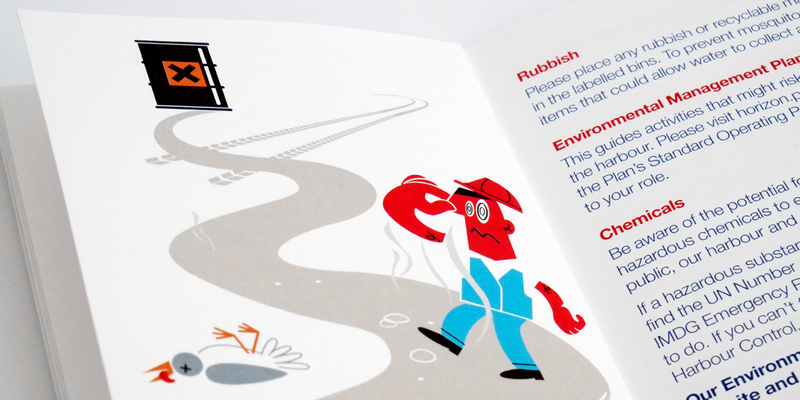 A re-write of all the need-to-know safety information combines with inventive character illustrations, a simple design structure and brand colours to great effect.